We are saddened to announce that James A. Schirillo, former professor of psychology, died March 31. The memorial will be at St.Annes Episcopal Church on Friday April 20 @1:00pm. Professor Schirillo joined Wake Forest’s psychology faculty in 1996. We grieve Professor Schirillo’s death and extend our condolences to his family and friends, as well as those at Wake Forest who had the opportunity to know him. Dr. James Schirillo started his career as a psychologist at Franklin and Marshall College, majoring in 1979 in clinical-behavioral psychology. He worked as a counselor after graduation until 1985, but then, deciding that scientific work would be more to his taste, came to study for his PhD with Adam Reeves at Northeastern University, essaying an older interest in visual perception sparked by Eugene Wist at Franklin and Marshall. His 1990 PhD thesis work on pi-mechanisms of color vision revealed inter alia that middle-wave cone isolated stimuli, when briefly flashed just above threshold, evoke not green sensations, but blue ones (Schirillo & Reeves, CRA, 2001). He also began studies of color constancy and achromatic perception with Larry Arend, finding especially that lightness and brightness differ fundamentally in how they depend on perceived depth (Schirillo et al., P&P, 1991). In 1991 Jim transferred to the lab of Steven Shevell at the University of Chicago, where as a post-doc he studied chromatic induction and the role of articulation on the perception of brightness and illumination (keynote: ECVP, Trieste, 1998; Schirillo & Shevell, Perception, 2002). Jim joined the Department of Psychology at Wake Forest University in 1996. He regularly taught courses in Perception and Physiological Psychology, as well as specialty seminars that intersected with his interests in the arts and the philosophy of mind, such as the Psychology of Art and Psychological Utopias. He was driven by a strong desire to understand aesthetics and emotional responses to art and architecture; for instance, he applied his knowledge of perception and brain lateralization to help understand human emotional responses to the portraits of Rembrandt and the paintings of Mondriaan. Jim also mentored undergraduate and Master’s-level students in research that examined interactions between visual and auditory perception (Schirillo, AP&P, 2011). Altogether, Dr. Schirillo published more than 40 peer-reviewed manuscripts. Many of those publications arose from research accomplished with his students, several of whom developed scientific careers of their own. He delighted in his work with his students, and they fondly remember his warm, patient and demanding mentorship style. 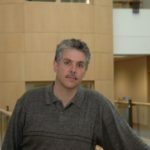 His work earned him the rank of Full Professor at Wake Forest University in 2009. Jim died on March 30th, 2018, of kidney failure. He will be deeply missed, by his family, his church, his students, and his colleagues.